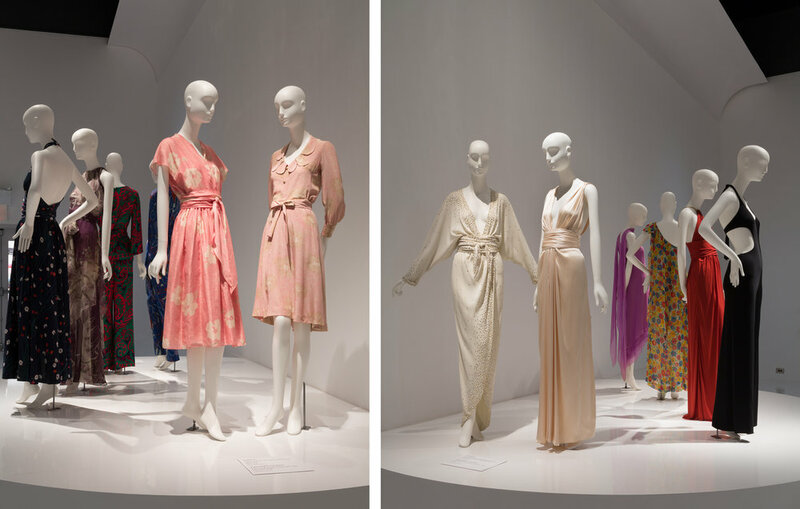 Yves Saint Laurent and Halston were two of the most celebrated Fashion Designers of the 70's whose careers closely paralleled each other especially during that decade. 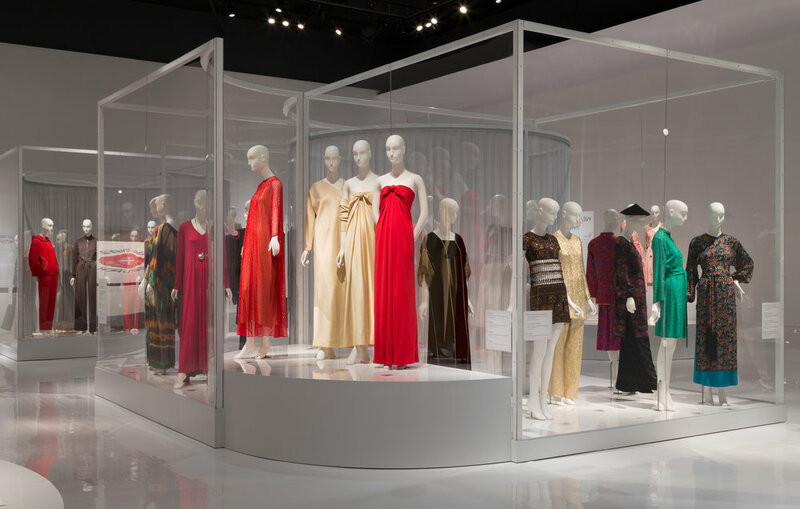 This exhibition was curated by Deputy Director Patricia Mears and Emma McClendon, and contained close to 80 objects. 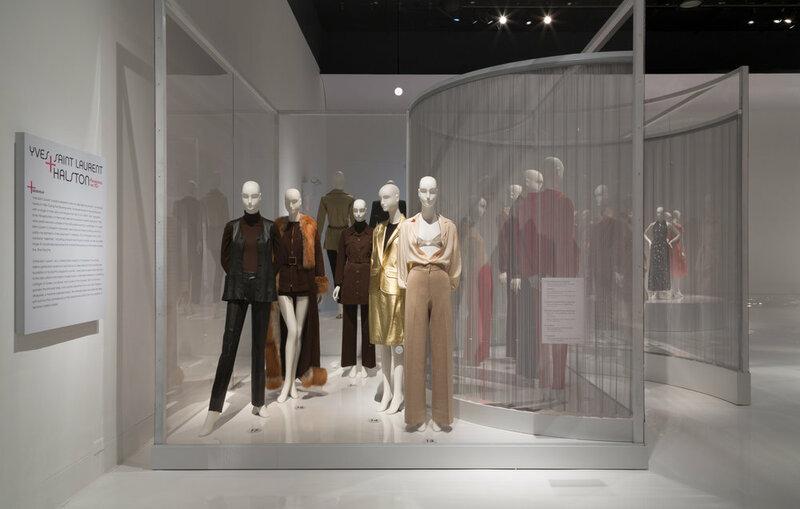 The design of the exhibition created a tension between the flamboyant nature of Yves Saint Laurent and the spare and sensual qualities of Halston. 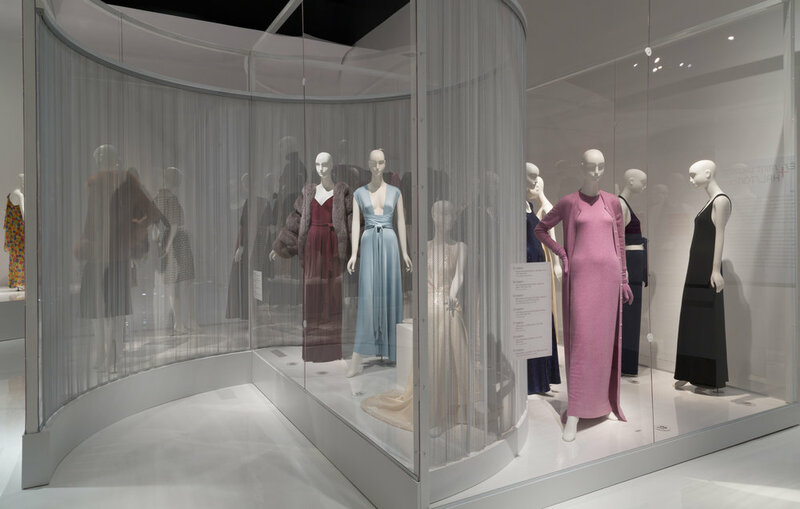 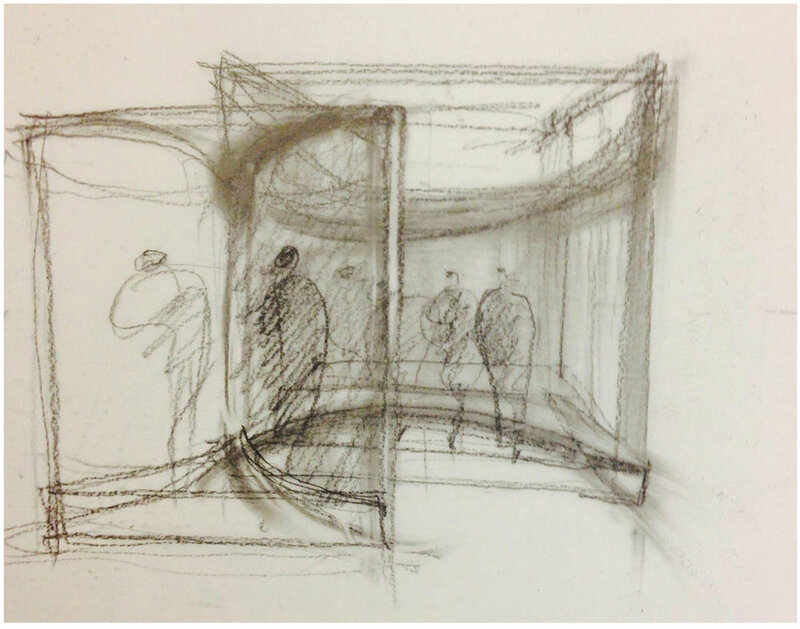 A entirely white gallery created a neutral backdrop for this relationship that was communicated through use of hard edged plexi glass panels and softly draping metal curtains that created a sense of translucency, mystery and layering.